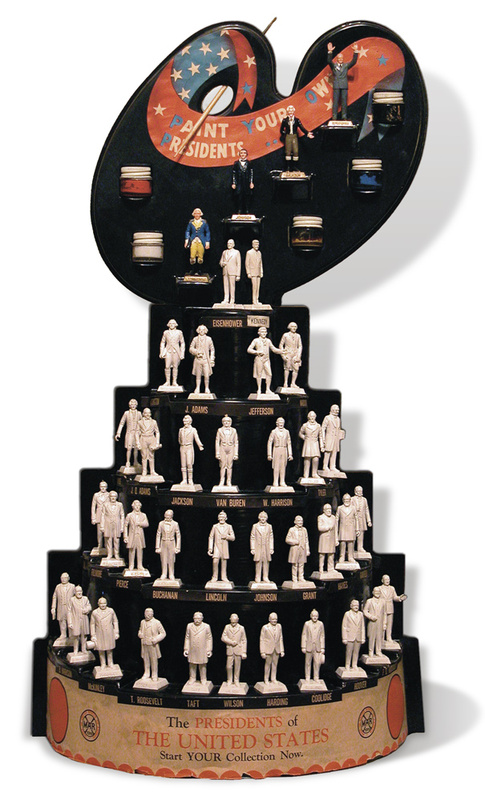 The "Paint Your Own Presidents" display shown above initially came with only Eisenhower at the top tier. On the later version shown above, Marx clearly added the figure of Kennedy with a sticker for his name. The Presidents, like the Jesus & the Apostles and the WWII Generals were sold initially in hard white plastic and later were available in handpainted form. What makes all these figures notable today is their excellent sculpting and their uncanny likenesses to their models (in most cases). The white figures display more detail than the handpainted versions.